Every once in a while - I have to treat myself to a good Riesling. After all - back in the day I cut my teeth on Riesling when the dollar was strong and good German Riesling was cheap. In my 20's I was partial to the sweeter German Rieslings - Spatlasen, Auslasen and sweeter. It was not until my palate became a lot more advanced did I truly enjoy the Trochen variety. Trochen is German for "Dry". Rather than bore you with the technical definition - just think "not sweet". When a wine is Trochen - it is not completely devoid of residual sugar. There is sugar there - but along with high acidity it will not be perceptibly sweet. The wine is crisp and mineral and very pure. It is a wonderful combination. This wine pours a pale straw color and is crystal clear. The nose is stone/mineral with lemon and rich ripe stone fruit. The acidity is the star here. It keeps the palate fresh and clear -and it seems to almost have a bit of effervescence. The mouth feel is rich - pleasantly so - with a dense texture and very long finish. This is a wine that should be properly chilled. If it is too cold or too warm - you are not going to get the best this beauty has to offer. Take the time to properly store before drinking. This wine is non-classified and labeled as an estate wine. Just because it is non-classified does not mean it is not created with the highest degree of care and finesse. 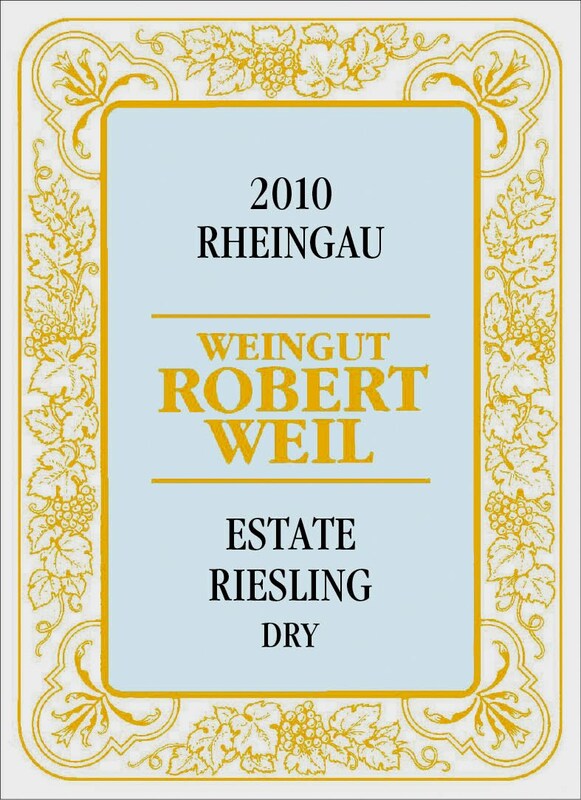 It is made with grapes from all of the Weil vineyards around the village of Kiedrich. This is one of the rare opportunities to get a great wine at a reasonable price. 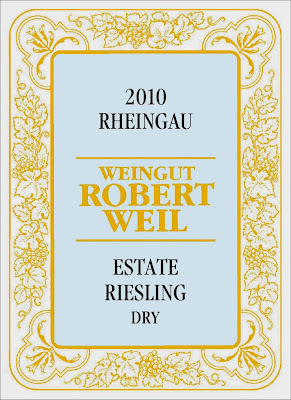 While the single vineyard classifications from Robert Weil can fetch as much as $70 per bottle - you can find this for half that price. I promise you it is worth the search. This wine is on the list at Bryan Voltaggio's VOLT restaurant in Frederick. In addition to fabulous food - they have gone out of their way to find special wines at reasonable prices. Pick a variety and a price point - and ask sommelier Jill Zimorski to help you choose.